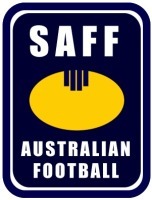 After a long hard season which saw its fair share of upsets the SAFF competition comes to a head saturday 23rd September when minor premiers Solna Axemen take on the Södermalm Blues. Solna coming off a very strong start to the season (6-0) have struggled with injury since the summer break, heading into the grand final on the back of three straight losses. Södermalm on the other hand head into the big dance on the back of a win against Solna before being given the forfeit against Årsta in the last round of competition. A heartbreaking loss in the 2016 grand final will still be fresh in the minds of the Södermalm camp who have been involved in all but one grand final since 2008, with the last win coming in 2015 (2-8 all time record). With a full strength side they will look to club stalwarts Michael Larsson and Jonathan Briscoe to lead from the front in a contest that is sure to please. On the other side of the ledger the Axemen from Solna enter into their eighth decider (6-1) and first since the 25 goal drubbing at the hands of the Blues in 2015. They will be looking to return to the form that saw them take an undefeated start into the summer break. There are though uncertainties surrounding key players Adam Cubbage (Nose), James Mailer (Leg) and Swedish legend Oscar Magnusson (Groin). Should these players pass fitness tests then the Axemen will go in as heavy favourites in the match. The J.C.G will be electric with crowds expected to swell well over the 50 mark. Get to the ground early to secure your spot on the grandstand and get into the beers whilst they are cold!